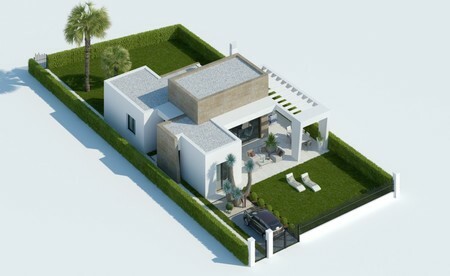 Brand new modern style 3 bedroom detached villas in Algorfa, Alicante. 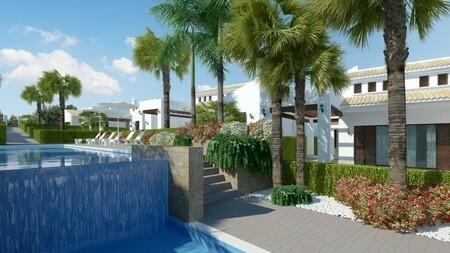 Small exclusive development within La Finca Golf Resort. 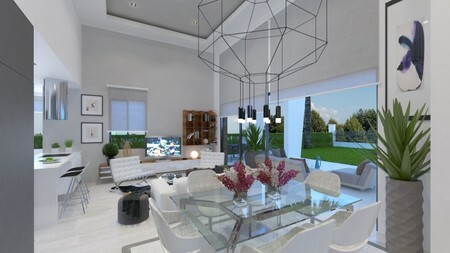 New release of beautiful detached villas designed exclusively with first class materials. The villas are on one level with direct access to the garden and communal areas. 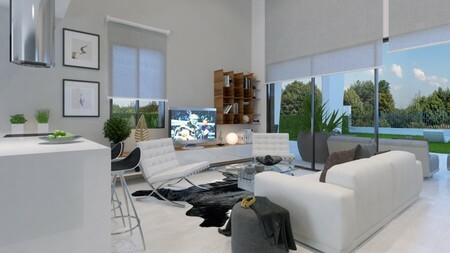 The villas have an open plan lounge/dining/kitchen area with separate utility area, three double bedrooms, one with en-suite, further bathroom. 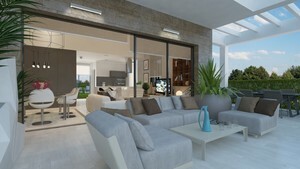 Large patio doors leading from the lounge out to the sun terrace. South facing, spacious garden, pergola area with private parking space, floor heating in bathrooms, hot/cold air con, extractor hood and white goods included in kitchen. 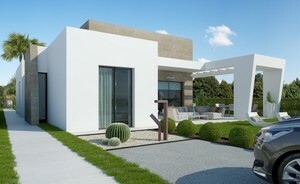 Build 132 m2, sun terrace 26 m2, plots ranging in size from 360 m2 – 508 m2. Completion dates from June 2019. Communal Pool. La Finca golf is considered one of the best courses in the Valencia region and is only 15 mins drive to the beaches of Guardamar. 5 star hotel with spa, tennis, paddle and gym etc. on the resort which you can enjoy. 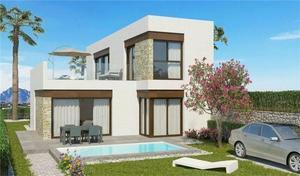 Fantastic four bedroom, two bathroom modern style detached villa with solarium and own pool at La Finca Golf Resort The property will be finished to a high standard with large windows giving the property lots of natural light. Build 136.36 m2, Sun terrace 36.3 m2, Solarium 36.1 m2, garden 179 m2. 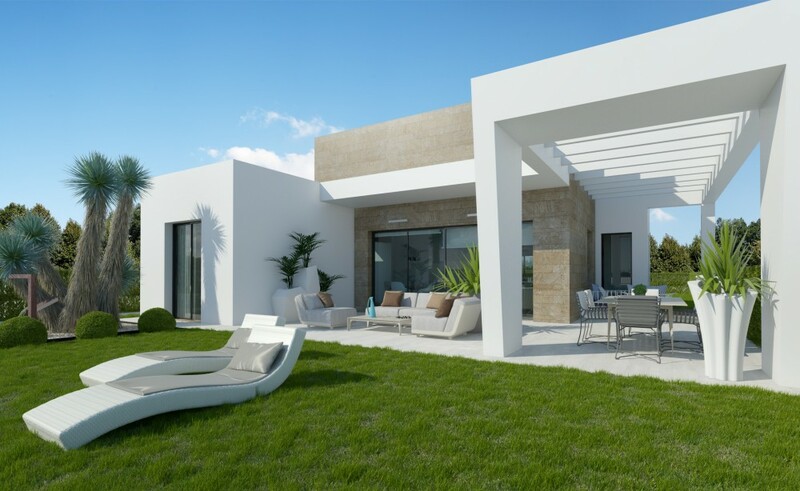 These South Facing, Three Bedroom, Brand New Detached Villas on La Finca Golf Hotel and Spa Resort, being built to a beautiful traditional Andalucian design with a contemporary twist, including beautiful beamed high ceilings. 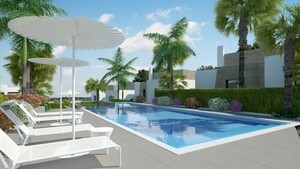 Achieving a truly Mediterranean feel around an attractive communal pool area, to be shared by only 12 properties. 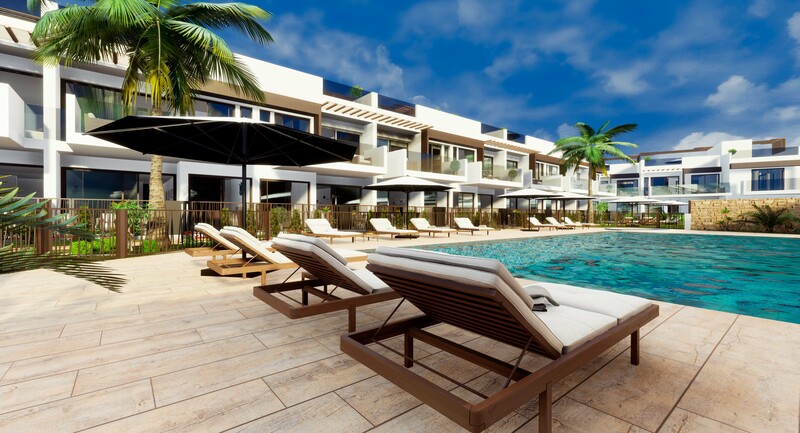 Bars, restaurants, supermarket etc on the resort are just 10 minutes by foot, with sports centre, football pitches, pool, pharmacy, bank and more just 5 minutes by car in Algorfa. 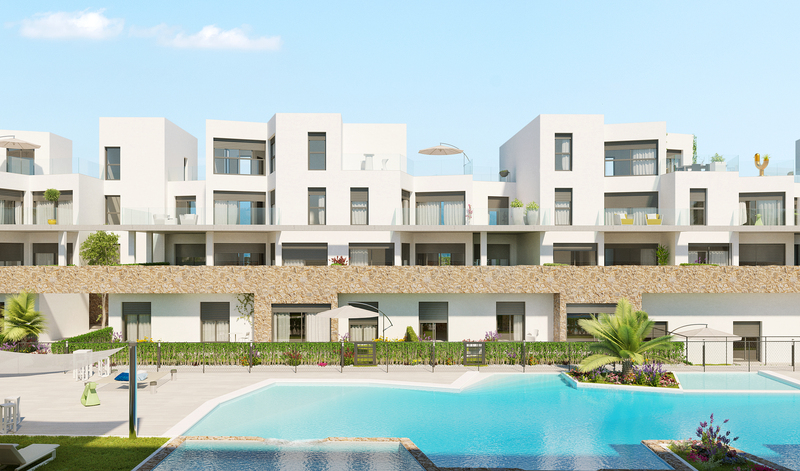 The major road network allows great commuting to Orihuela Costa and Zenia Boulevard shopping centre, also to Alicante and Murcia airports with the beach approx 15 minutes away. These cleverly designed villas will include many extras, including: air con and bathrooms with under floor heating, and comprise: tremendously light open plan lounge/dining room with sliding doors out to the amazing covered terrace area; fitted top quality kitchen with utility and door leading out; 3 double bedrooms with fitted wardrobes, master with en suite and terrace; further bathroom. 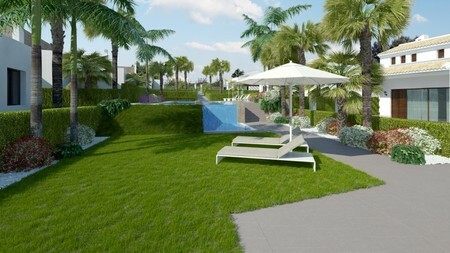 The spacious garden with room for a private pool will be landscaped with grass and off road parking. Stunning, exceptional value for money and already being reserved!! 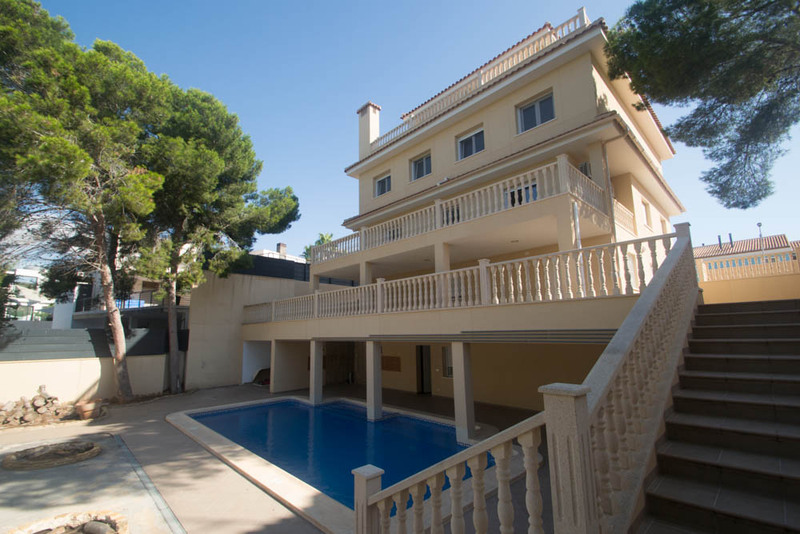 This villa is ideally situated on a corner plot on La Finca golf course close to the 5 star La Finca Golf and Spa Hotel. It is within 5 minute walking distance of the shopping centre which has a wide variety of restaurants, supermarket, boutique etc. It is only a few minutes drive to the center of Algorfa. The villa consists of three floors, the ground floor is a very spacious, open living / dining room with fireplace, air conditioning, and large windows providing a lot of natural light. A spacious, fully fitted kitchen with all white goods included and French doors leading to a spacious sun terrace to enjoy the Spanish weather. Two double bedrooms with fitted wardrobes and air conditioning, a cloakroom, a family bathroom with bath, and the master with en suite shower room. On the top floor a spacious double bedroom with private shower room leads to a spacious balcony with beautiful views of the area. The basement is fully equipped as a separate living area comprising of a living room / kitchen, two bedrooms, a games room and a family shower room with air conditioning and electric heating. This allows you to have family and friends staying with privacy. The tiled and easy to maintain garden wraps around the house and has a private pool, parking space There is also a communal swimming pool and the nearest supermarket is within walking distance. Alicante can be reached in 40 minutes and the beach in just 20 minutes by car.